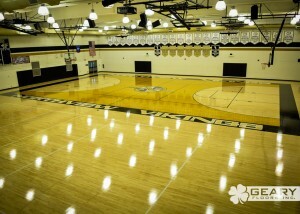 Premium Basketball Court Wood Gym Flooring Specialists! 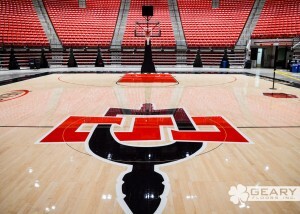 We have partnered with Geary Floors Inc. for the past five years to maintain our basketball surfaces at the University of San Diego. 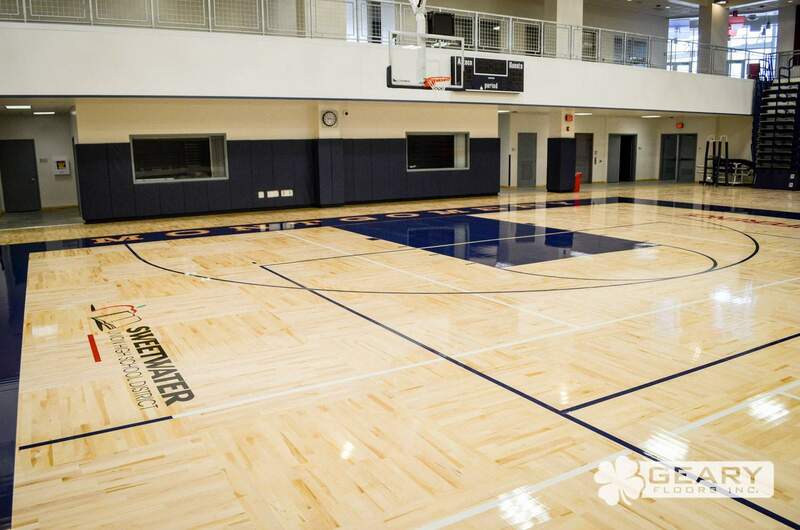 In 2015, we worked with Geary Floors to redesign the look of our floor in the Jenny Craig Pavilion. 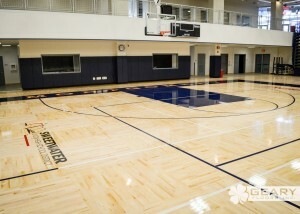 We are very pleased with the look of the floor and are excited to have such a great partner in Geary Floors. 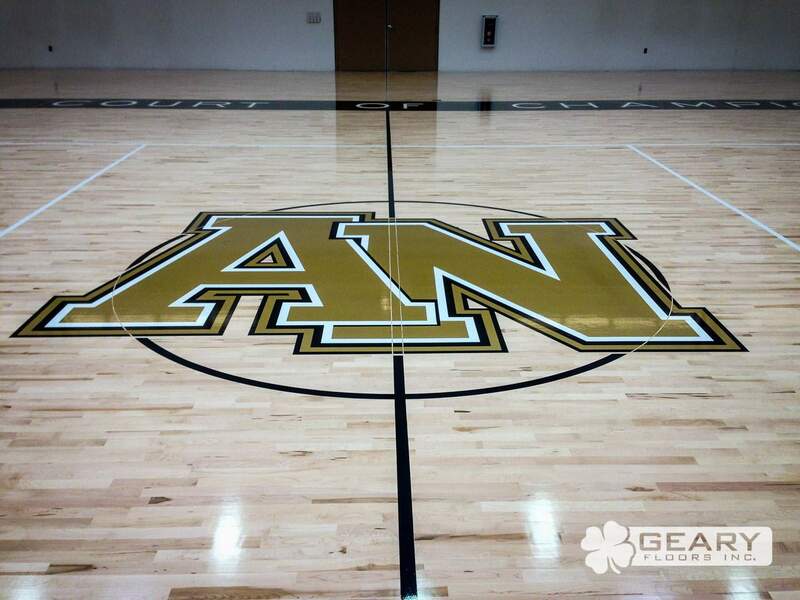 Matt Allen and Sean Geary have been responsive to our needs and offer high quality services that are key to turning around floor renovation and maintenance in a tight time frame. 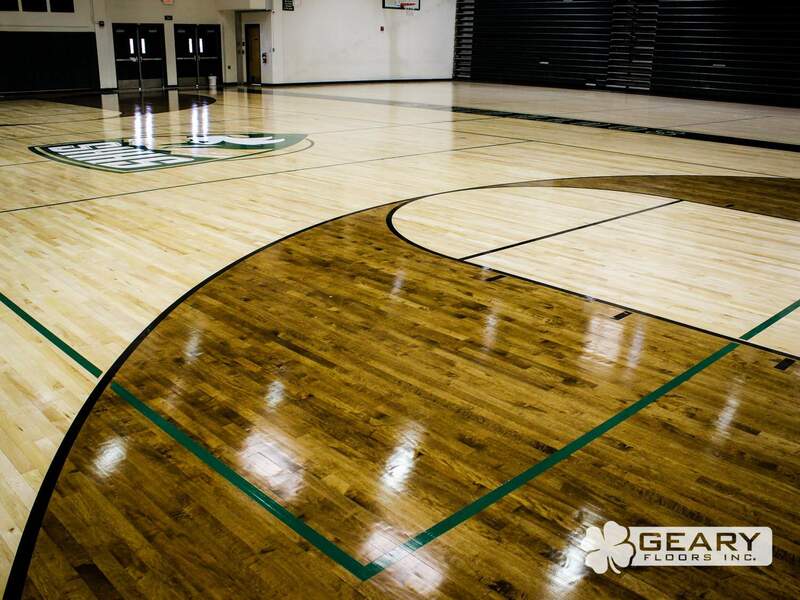 Geary Floors handles your entire scope in-house with a team of highly trained skilled craftsman. 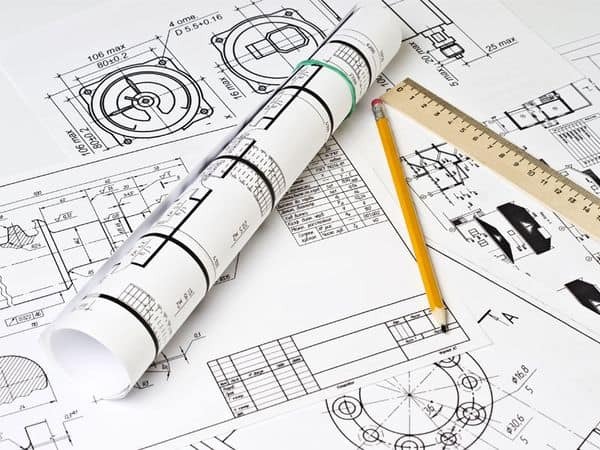 No matter the size or scope of the project, we have the manpower and the attention to detail necessary to finish the job on time, and on budget. 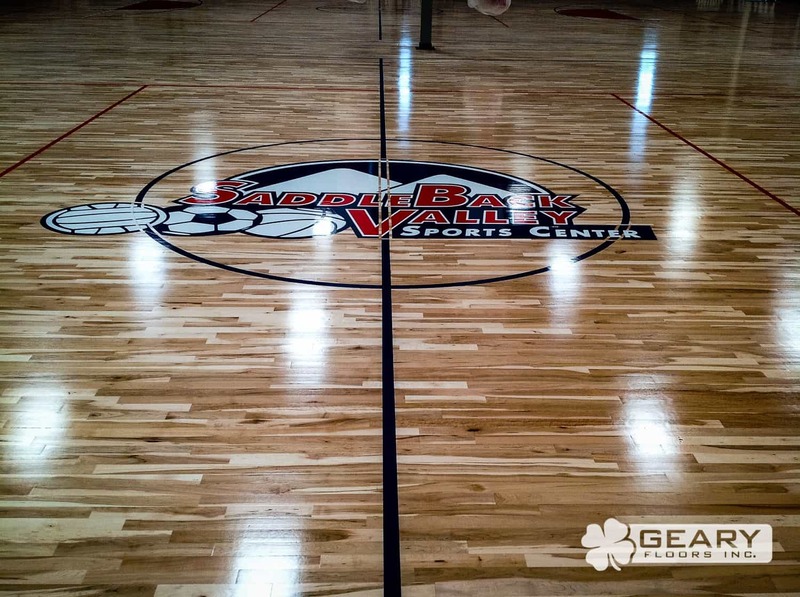 When it comes to hardwood and synthetic flooring, our established reputation for superior quality and customer service, puts Geary Floors Inc. at the head of the class. 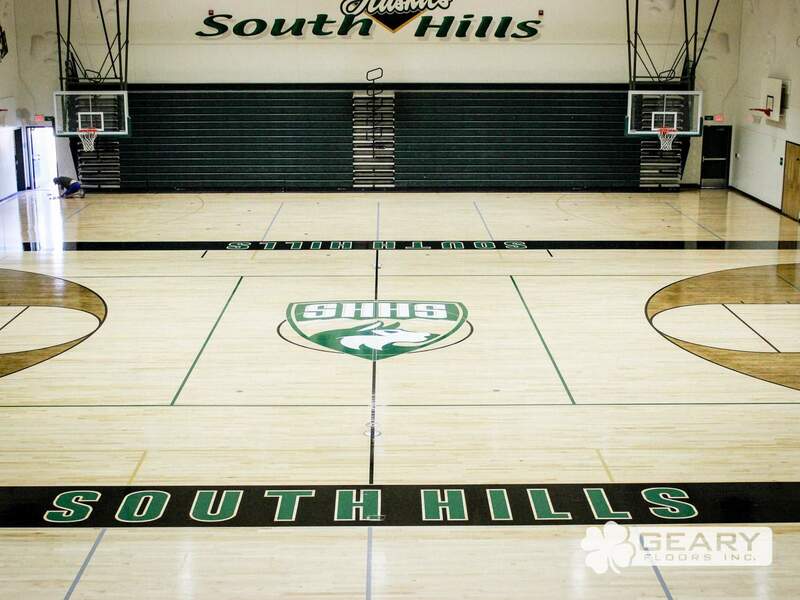 A great alternative to traditional hardwood floors, synthetic flooring requires less long-term maintenance. 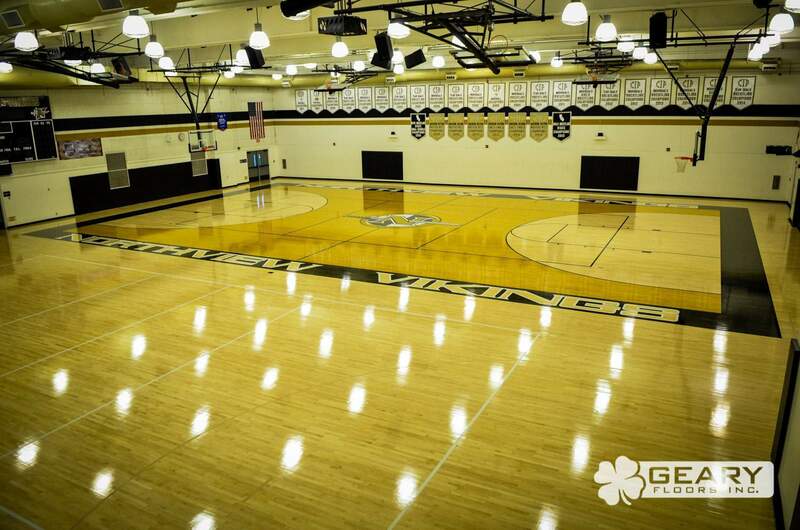 Uses for synthetic flooring include multi-sport facilities, community centers, fitness rooms, and strength and performance centers. 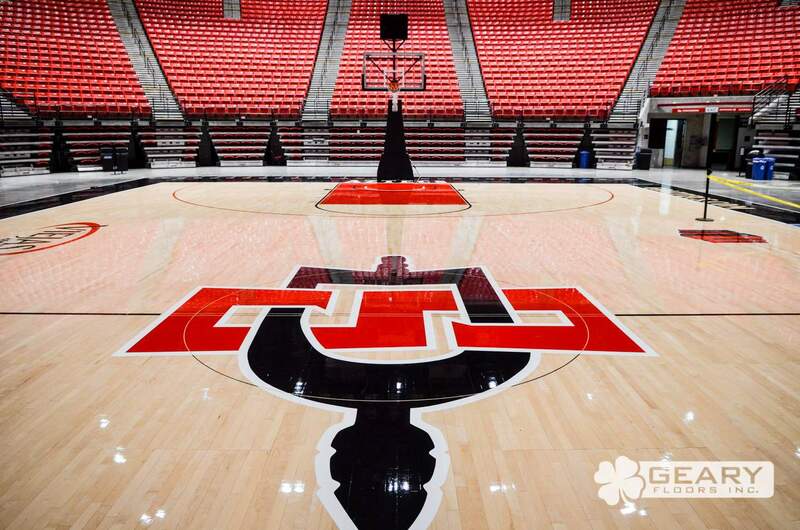 A flat and dry concrete foundation is essential to the performance of your sports surface. 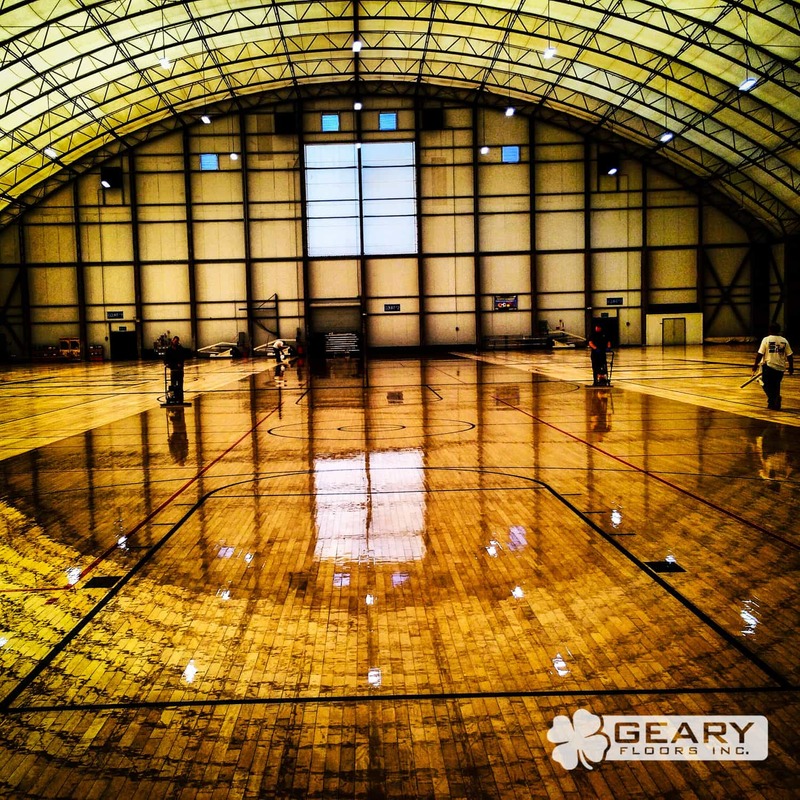 Geary Floors Inc. offers foundation review and correction prior to installation to ensure the integrity and performance of your new floor. 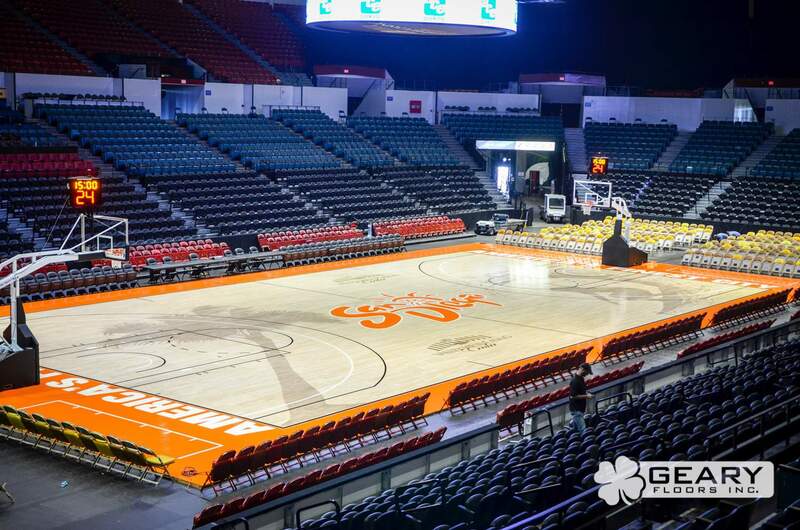 We install and service sports flooring from the ground up to ensure our customers work with a single company as they turn their concept into a reality. 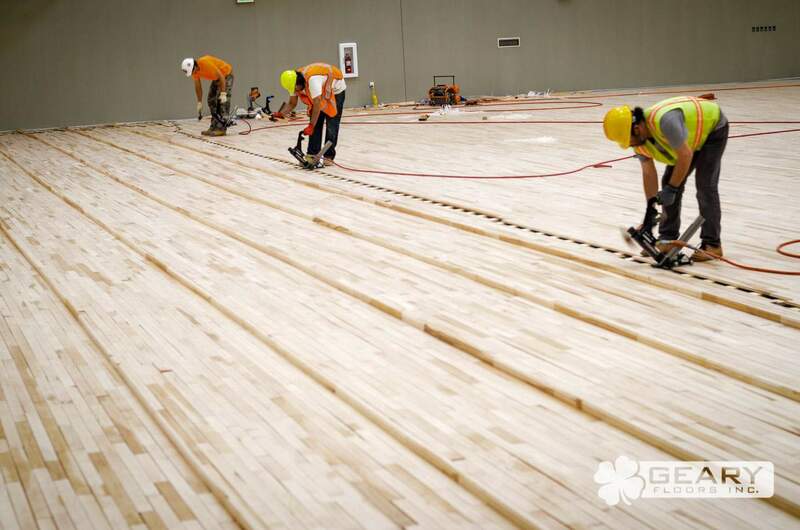 Trust Geary Floors for continuity of service, shorter timelines, and a long-term business relationship. 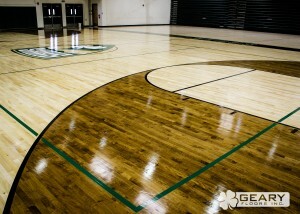 Regular maintenance of wood and synthetic surfaces is essential to avoid costly repairs down the road. Many of the services we provide are recommended annually and require little time to complete. With our team of in-house design, game-lining, and painting experts, let us help you design a floor that WOWS! 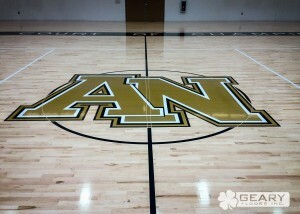 Check out the most recent of our Athletic Flooring Projects. To view more projects, or projects from our other service categories, check out our projects page. Cities we service: Anaheim, Apple Valley, Bakersfield, Berkeley, Carlsbad, Chula Vista, Clovis, Corona, Costa Mesa, El Cajon, Encinitas, Escondido, Fontana, Fresno, Glendale, Hemet, Hesperia, Huntington Beach, Irvine, Laguna Niguel, Lancaster, Long Beach, Los Angeles, Modesto, Moreno Valley, Oceanside, Oxnard, Palmdale, Pasadena, Riverside, Salinas, San Bernardino, San Buenaventura, San Diego, Santa Ana, Santa Barbara, Santa Clarita, Santa Maria, Santee, Simi Valley, Thousand Oaks, Torrance, Ventura, Victorville, Visalia and Vista.